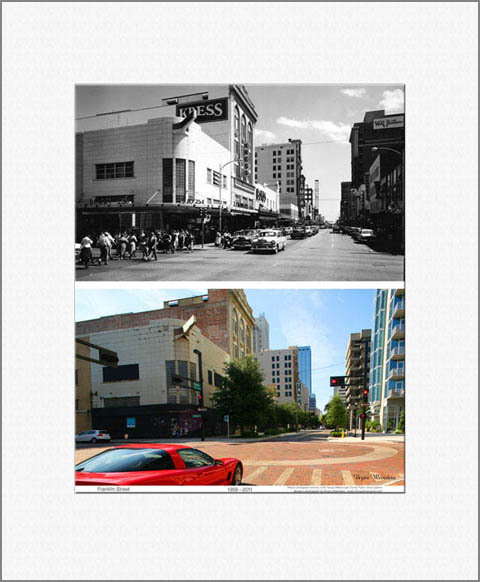 Thank you for your interest in Tampa Changing re-photography. When ordering prints of historic and modern photographs, the two photos are printed on a single sheet of acid free photographic paper. Unframed photographs are mounted on a textured white mat and are displayed through a single opening. Framed photographs are double matted on a textured white outer mat and a thin black inner mat. 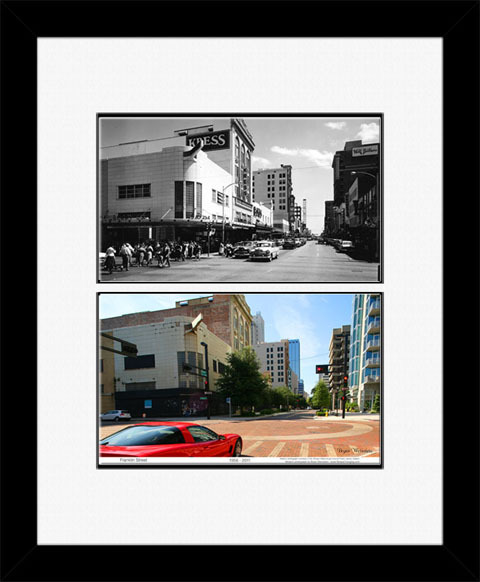 Framed prints have a separate opening for both the historic and modern photographs. At the bottom of the photograph is the location of the scene, the dates the two photographs were taken, and, in the case of photographs taken by me, my signature. Examples of the matted and framed photos are shown below. Please be aware that all photographs are printed to order. Therefore, please allow up to two weeks for unframed prints and three weeks for framed prints. The majority of the photographs on my website may be purchased using my secure online checkout. If you would like to pay using another method, would like a photograph printed that is not available for sale online, or would like a size that is not currently being offered online, please feel free to contact me directly.